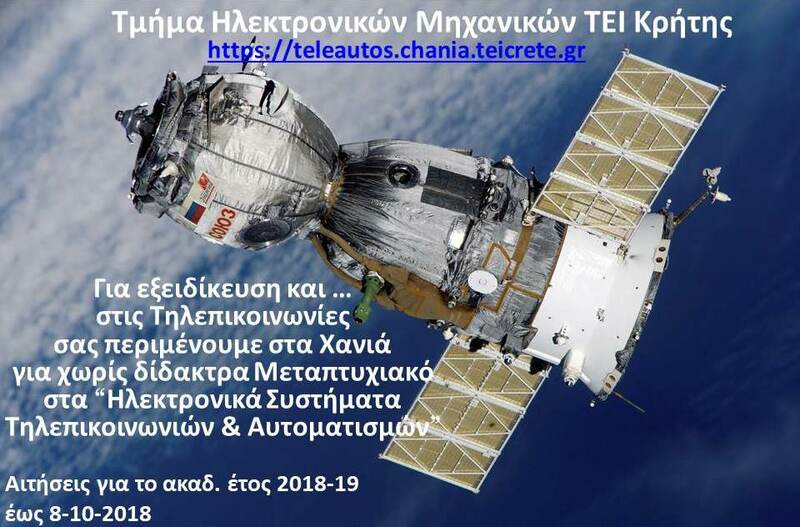 With great pleasure we welcome all our foreign newcomers, students, teaching and research collaborators, and professional friends in the Department of Electronic Engineering of the Technological Educational Institute (TEI) of Crete at Chania. 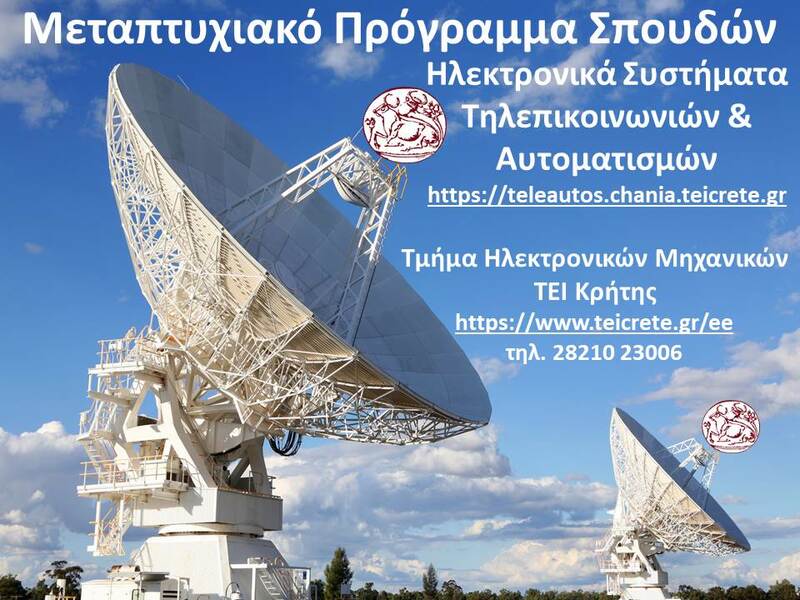 It’s generally known that TEI of Crete (and especially the Department of Electronic Engineering) is very active in the area of exchanging students with other educational institutions for engineering and applied sciences. We believe that the information you will receive in this webpage will be proved useful. It contains all essential details about our Department of Electronic Engineering – its history, its structure and organization, its divisions and laboratories covering the various courses of study and research activities, as well as the application procedure for incoming LLP/Erasmus students. 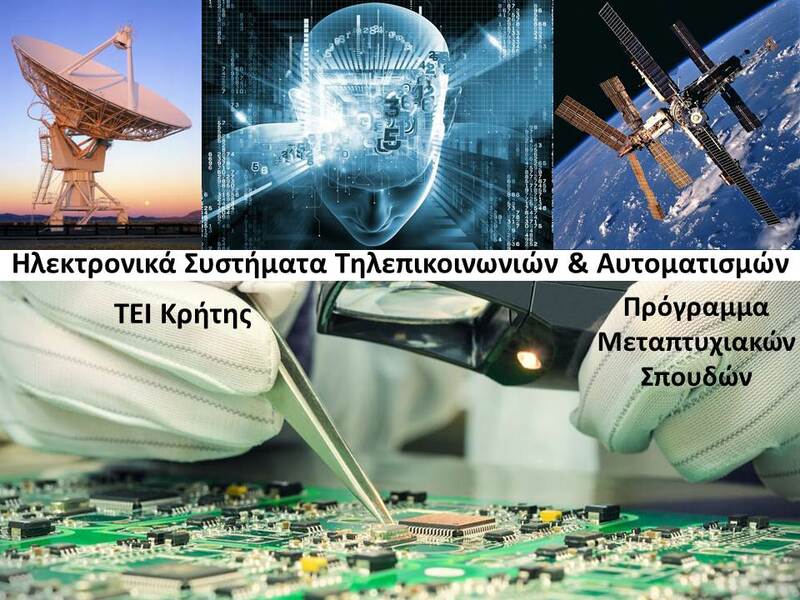 The Department of Electronic Engineering in its present form was founded in 1982, at the same time as the Greek Law for Technological Educational Institutes. It consists of three Divisions (Automation & Informatics, Electronics and Telecommunications) and after a four-year studies program with 240 credit units, leads to the Diploma of Electronic Engineer. 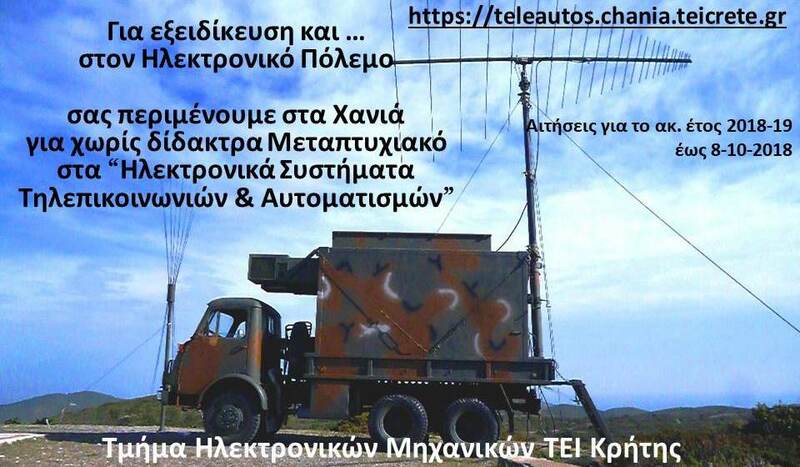 Our priority is to follow all modern developments in Electronic, Telecommunication and Automation Science and Technology. Research and development achievements, innovative problem approaches and new methods of teaching are constantly being followed by our 30 permanent members (academic and administrative staff) and 900 students. In addition to the provision of more knowledge, we value very much the skills of communication and management, which are so essential in modern workplace and society environments. 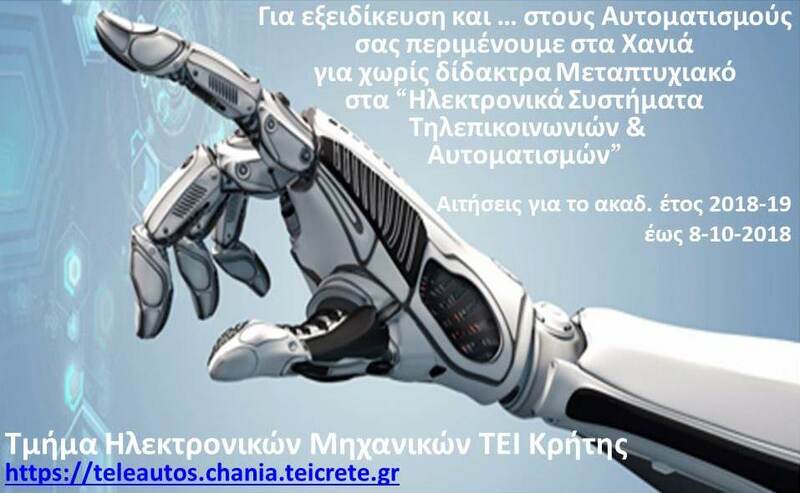 You are welcome to the family of our Electronic Engineering Department. 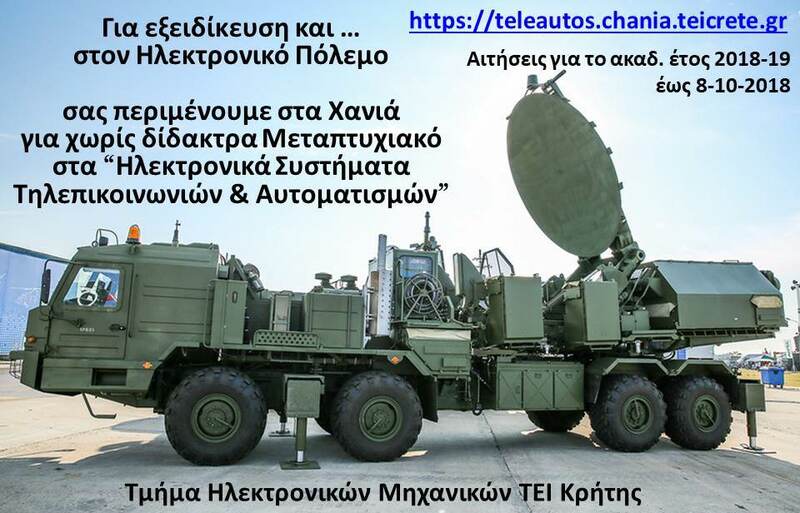 Πατήστε για να συνδεθείτε με το Τμήμα Δημοσίων & Διεθνών Σχέσεων του ΤΕΙ Κρήτης.